Helping you become a published author. I’m a sunny summer person most of all, but I love the creative inspiration that comes with cozy cool days. As the weather starts to settle into autumn, and thoughts of writing your book (or next book) trundle in, I’m offering a 20% discount to all my friends (that’s YOU) if you want to join me at York Book Expo’s Writers Conference. Take the afternoon off and launch your next writing project with style! Enjoy the inspiring sessions with our awesome panel of instructions AND have dinner (my treat!) 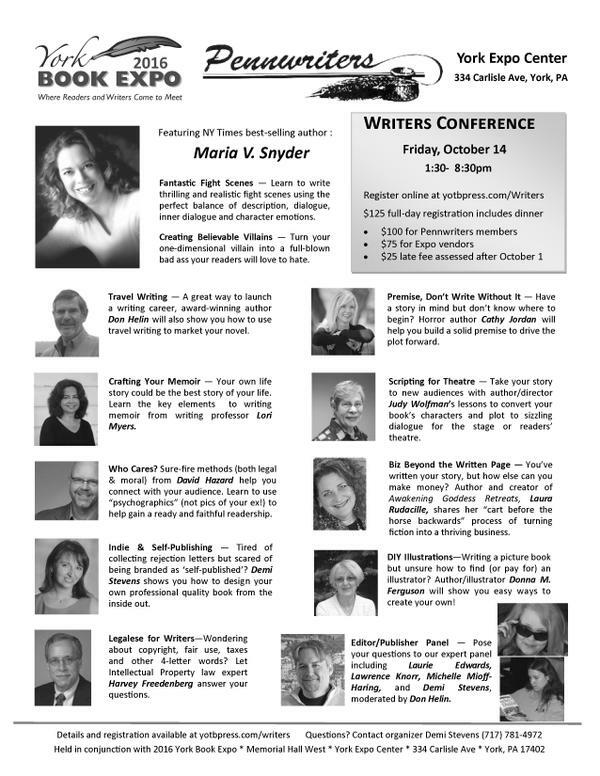 as well as a free ticket to hear international bestselling author Maria V. Snyder speak the next morning at the keynote event, Saturday, October 15, at 10 am. Don’t delay! Register by October 9 to claim this awesome discount! A more personal way to write your book.